I’ve inadvertently been focusing on various sculptures and statues around town for the past few weeks of Foto Vrijdag entries, so I figured this week I’d intentionally continue the theme with one of the most famous statues here in town. 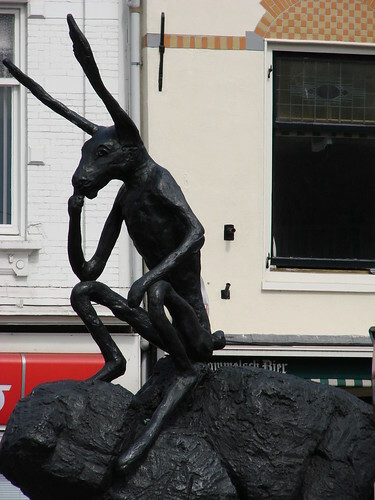 It’s Thinker on a Rock, by Welsh artist Barry Flanagan. There are other versions in cities in the US. We got our version in 2002. 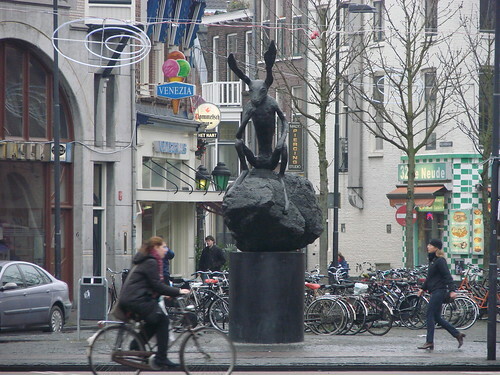 He sits facing Neude square, at the end/beginning of Voorstraat. 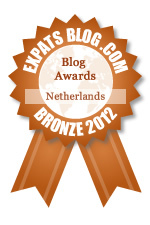 Really, how can you not love this symbol of a free thinker!